We actually never had any of the Newman's Own Organic products until we received a huge box of their food to review. When the package came, DD was really excited by all of the cookies in the box. I, on the other hand, was excited by the mints. The mints came in tins with really cool designs on them, so I was looking forward to trying them out and see if they are as good as they look. We got to try their Pretzels, Fig Newmans™, Champion Chip Cookies, Newman-O's, Alphabet Cookies , Soy Crisps, Hermits, and Mints. Instead of keeping all of these yummy food to ourselves, we have been sharing them with our friends from the mommy's group. 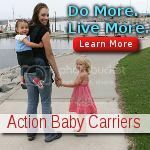 Since so many of us prefer organic products, it only made sense to bring them to playdates so all of us can try them. After trying everything we have received to review, we were surprised to learn that there was not a single thing we did not like. Even the moms and the kids from the playgroup loved everything too. Some of the moms commented that they will be looking for Newman's Own Organics products in the stores for their own families. Newman's Own Organics products are delicious and I will be buying more for my family in the future too! To buy your own Newman's Own Organic products, please check its website for retailers near you. Many thanks to Newman's Own Organics. The company has generously offered a prize pack to one of my lucky readers (US residents only please). The prize pack will include Cinnamon Graham Alphabet cookies, Original hermits, Lightly Salted soy crisp, original Crème Newman O's, Chocolate Chip Champion Chip Cookies, Low Fat Fig Newmans and 3 tins of mints. 1). 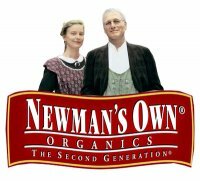 Please go to Newman's Own Organic and then come back to tell me about another product you would like to try (you MUST be a public follower of my blog to enter this giveaway, and your profile can not be set at private). 7.) 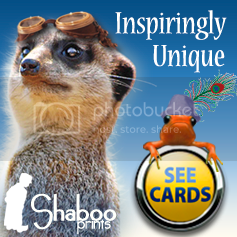 Tweet about this review and giveaway. 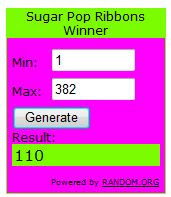 Please tweet the following: " I want to win Newman's Own Organics prize pack @ http://www.sugarpopribbons.blogspot.com/ ". After your tweet, please leave me the url of your tweet so I can check. If you do not know how to check your tweet url, please read this post for step by step instructions. You can retweet once a day for 1 entry each time. 10.) Become a fan of Newman's Own Organics on facebook and comment on the wall with the following for 2 additional entries " I entered to win the Newman's Own Organics Giveaway @ Sugar Pop Ribbons: Stop by and enter at http://www.sugarpopribbons.blogspot.com "
I would like to try the orange dark chocolate bar. I am a gfc follower. I'm a follower. I would love to try their black licorice. I'd love to try the lemonade! I would like to try the Pop's Corn. Sounds yummy. I would like to try the Champion chocolate Chip Cookies. I would love to try the Expresso Dark Chocolate and the Mocha Milk Chocolate. Left a comment on the Dyson DC 25 Vacuum Review. Entered Crazy Dog T-shirts contest. I love Newman's Organic Black Tea and have traveled far from my home to get it as it most stores by me carry other Newmans products but not the tea. I follow on GFC (mamie316) and I would love to get the organic cat food. My cats are picky but I would think they would love all the natural ingredients. I would like to try the Spelt Pretzels. Entered the Ultimate Green Store Giveaway. Entered the Lee Jeans Giveaway. Entered the Kranich Jewelers Giveaway. Entered the National Geographic Kids Giveaway. Entered the Rubbermaid Mop Giveaway. I would like to try the Royal Tea. Newman's Ground Turkey and Brown Rice canned dog food. That for my youngest daughter's pet dog. Entered the [me] & goji custom artisanal cereal Giveaway. I'd love to try their lemonade! I get their lemonade, pretzels and mints all the time. I'd like to try the Fig Newmans. Id loved to try the Royal tea. 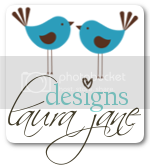 I entered your LaVaque Tweezers giveaway. I checked out Newman's Organics and I would also like to try their Chicken Dog treats in the small size, I bet my picky dog would love them! I'm a public follower. I'd like to try the dried berries. I would love to try the Fig Newman's, and I follow. Follow.I would like to try the Espresso Dark Chocolate. The Pop's Corn in Butter flavor sounds good. I follow you on GFC(5webs) and I would love to try the Newman's Own Dried Apricots.